If you are using OpenOffice Calc for spreadsheets, make the following settings. Click in the project center in the file menu on „Settings“ > „Additional Settings“ > „Word Processor“. 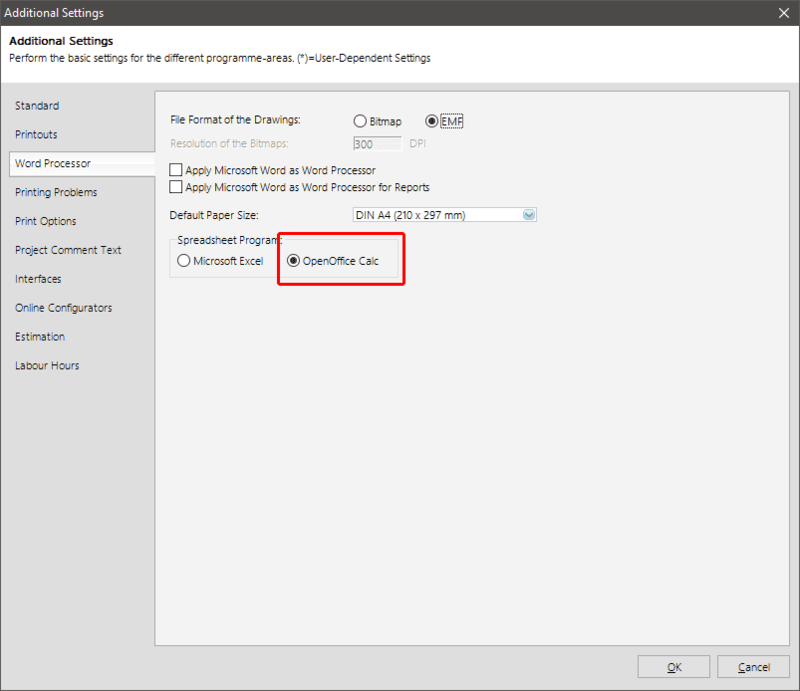 Under „Spreadsheet Program“ activate the option „OpenOffice Calc“. To save the setting, click on the button „OK“. To display reports in OpenOffice Calc, open the settings of a report. Click on the button „Display“ and select the option „Display (Excel).